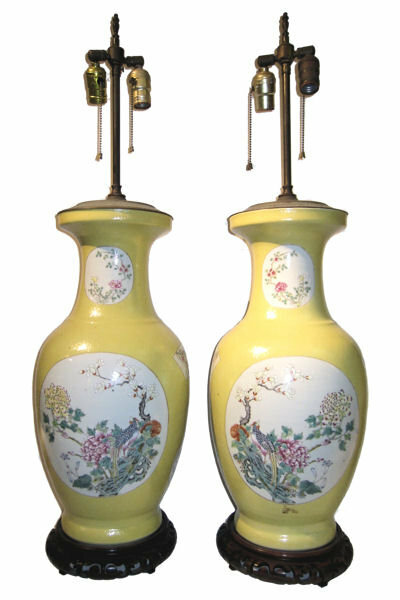 This pair of tall, nineteenth century Chinese export porcelain vases were drilled and mounted as table lamps in the early twentieth century. 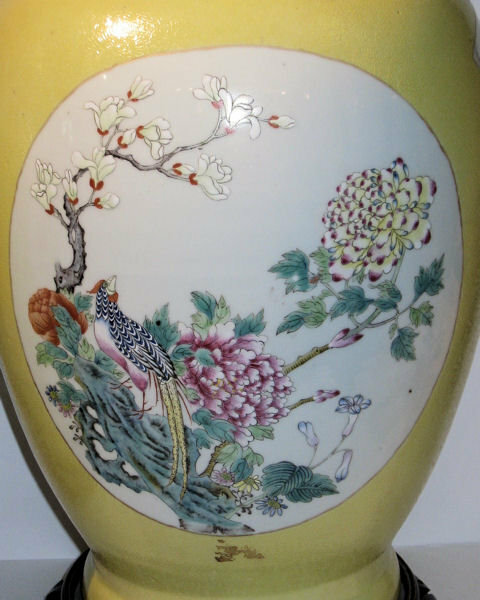 The vases alone measure an impressive 21.5" tall and 9" across, and they are in excellent condition, with no visible losses, repairs or cracks. They reside on carved wooden pedestals and have most of their original lamp hardware, including cloth sheath wiring dating from the 1920s. (We will be happy to rewire as needed prior to shipment.) 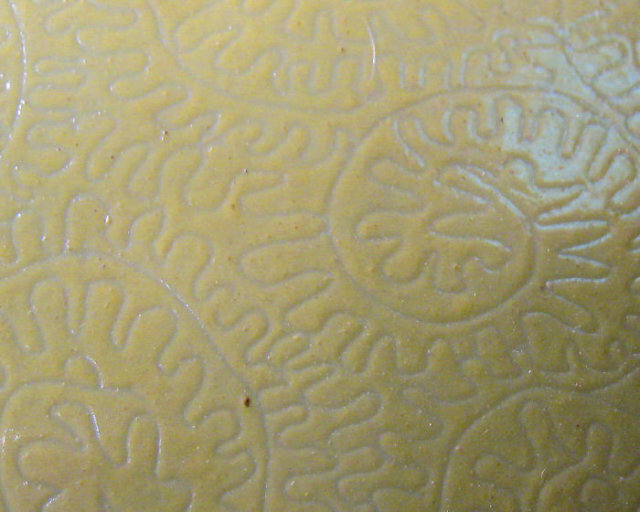 They have a yellow ground with incised scrolling organic motif, and two large medallions featuring plants and birds. These lamps reside with our client in midtown Manhattan and may be seen in person by appointment. 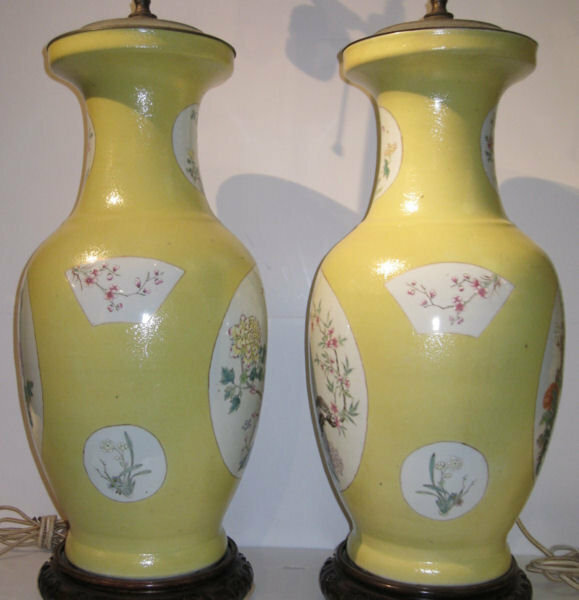 Items Similar To "Pair of Chinese Famille Jaune Porcelain Table Lamps"